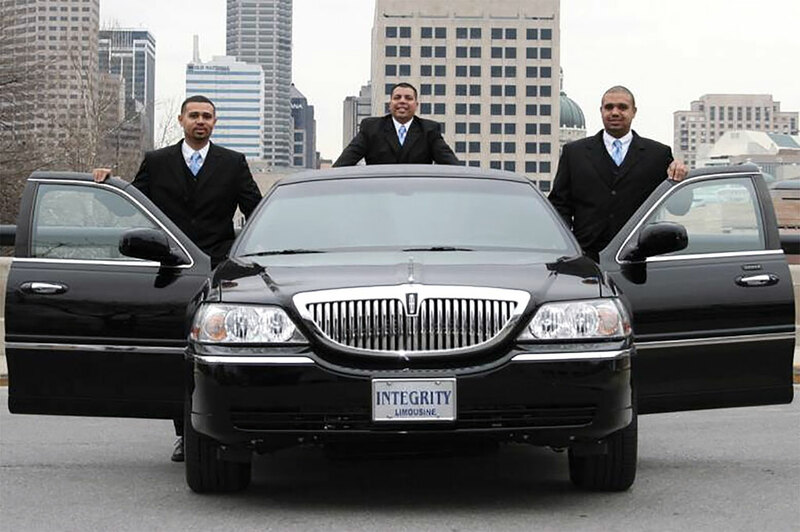 The story the Cardwell brothers, Jermaine and Tyrone, like to share when discussing their history in owning Integrity Limousine Service dates back to the Indianapolis Colts’ win in the 2006 Super Bowl. The Cardwells were booked to drive some of the football players to the ceremony awarding their Super Bowl rings. Afterward, the players naturally wanted to celebrate the win. Generally “what happens in the limo stays in the limo,” says Jermaine. The owners have combined that philosophy with the best service they can provide to build a growing business for the central Indiana area. Beginning with one stretch limousine in 2005, Integrity Limousine Service now has 10 vehicles in its fleet. The options include a four-passenger sedan, a six-passenger SUV, an eight-passenger limousine, a 14-passenger shuttle bus, a 14-passenger limo bus, a 24-passenger limo bus and a 44-passenger bus. The vehicles are used for all kinds of occasions, including business travel, bachelor and bachelorette parties and wedding transport. Rates range from $65 to $210 per hour depending on the vehicle and location. The Cardwells moved to Indianapolis from the Chicagoland area when they were about 19 to 20 years old. After completing studies in hospitality management, the brothers decided their new hometown was the right location to establish a business. At first, the brothers and a close friend were going to franchise an Original Pancake House outlet. A sudden burst of awareness about the franchise, however, put the trio on a 24-month waiting list. The idea was to wait out the two years by starting a small limousine service to supply their income. The limo business started to thrive, “so we decided to scrap the rest and focus on this,” said Jermaine. They bought a second car in 2006, and they applied their lessons from learning about the hospitality industry in their own business. They plan to expand within the next 12 months into the charter bus market. The goal is to see Integrity Limousine traveling outside central Indiana.